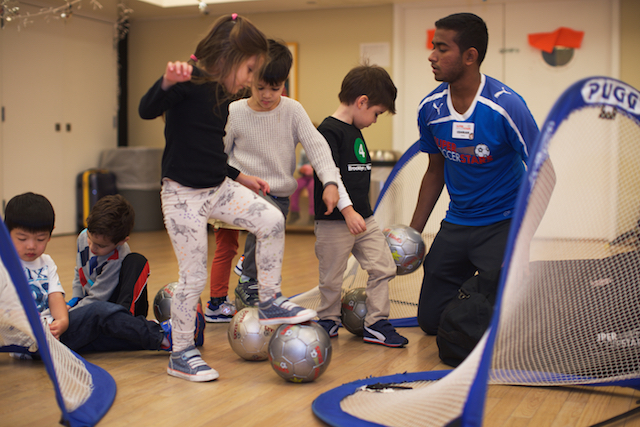 Children boost their individual coordination and motor skills while playing together in a large group during Super Soccer Stars. 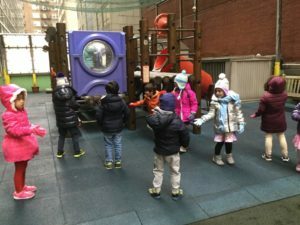 Although dismissal time signals the end of the school day for some, the fun continues “after hours” at The International Preschools. 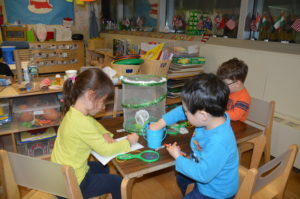 Our school provides a wide variety of after school program choices for parents to choose from, all of which build upon the concepts being taught inside the classrooms each day. Language Development: Children acquire new vocabulary words when playing sports (i.e. “dribble” during Soccer) and learn to process and follow directions when playing games. 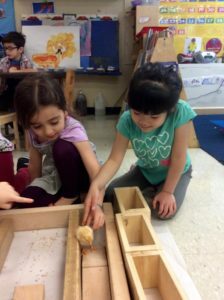 Social Skills: Making friends and initiating play is an important concept taught in every IPS classroom. 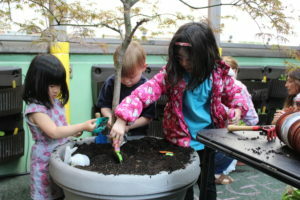 After school programs allow children to meet fellow students who are not in their everyday class. 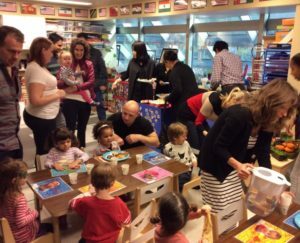 Families celebrating United Nations Day at The International Preschools.